The Ancient One: That's nice of you, Stephen, but I can free myself anytime I please. Doctor Strange: Why haven't you? The Ancient One: I'm your tutor. I wanted to see how you and Mordo would do without me. It's also given me time to visit the Astral Dimension, and speak to previous Ancient Ones about how to best stop Kaecilius. Doctor Strange: How do we stop him? The Ancient One: Everyone agrees that it's probably best if I punch him in the face. The Ancient One: Thank you. It's just a title. I'm new on the job. Pepper Potts: Is there anything I can get you? The Ancient One: No, thank you. The only thing I need is peace and quiet. Pepper Potts: Tell me about it. The Ancient One: I need to test the dimensional barriers to fully gauge the extent of the damage this rift has caused. Doctor Strange: How will you do that? Doctor Strange: So, why are you smiling? The Ancient One: You should always smile in the face of adversity, Stephen. Positivity is a weapon, and I have killed many people with kindness. 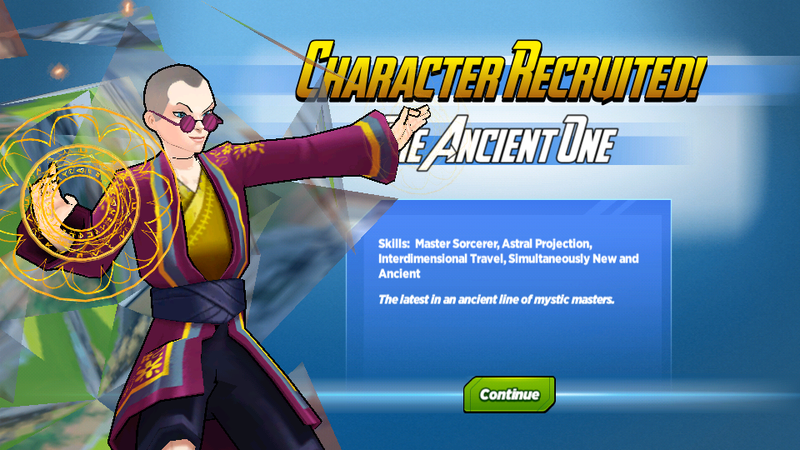 Wasp: Hey The Ancient One! I'm Wasp! I totally love you hair and your outfit and your ability to cross over different planes of existence! Wasp: I ate a whole cake! The Ancient One: I'm talking about your spiritual energy. You have a very powerful aura. Wasp: Are you gonna teach me to be a sorceress?! 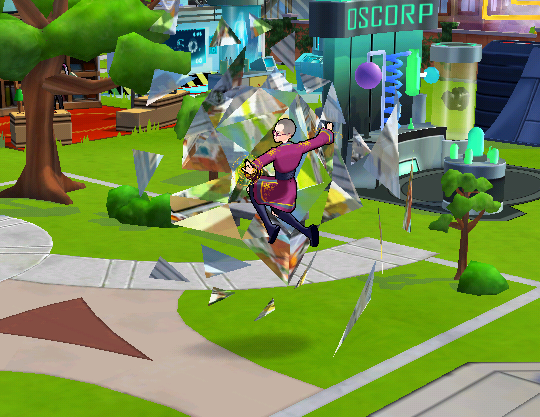 The Ancient One: I don't think you need sorcery, Wasp. Wasp: Because one person being ultimately awesome would throw the whole universe into disarray? The Ancient One: I couldn't have said it better myself. The Ancient One: Excuse me, but can you point me in the direction of the nearest place to practice focused destruction? The Ancient One: I actually just spoke to Tony Stark about that. He said he can make some adjustments to have the robots form "Super Ultron". I have no idea what that means, but it sounds fun! The Ancient One: You really are a creative genius. That was fabulous. Tech Wizard Iron Man: Thanks. I was gonna give them a blazing sword, but it seemed like overkill. The Ancient One: Going by your outfit, I assumed you enjoyed excess. Tech Wizard Iron Man: I'm just a simple man in luminous pajamas. 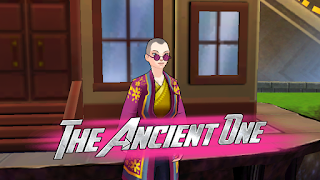 The Ancient One: Would it make you happy or angry to know that I actually enjoy your silly nicknames? Loki: I would find either one irrelevant. The Ancient One: Would you consider teaching me some Asgardian sorcery? Loki: I thought The Ancient One supposedly knew everything? The Ancient One: You mean her knowledge? Loki: That's a complicated topic for us both. The question is, why teach when you could rule? The Ancient One: I'll explain this in the most selfish way I know. Helping others helps you. Loki: You sound like my mother. The Ancient One: Maybe if you spent more time listening to your mother instead of arguing with your father, you'd already be ruling the Nine Realms. Nick Fury: I could use your help getting rid of this timefog. 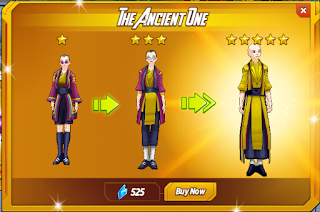 The Ancient One: You aren't worried about revealing what's underneath? The Ancient One: Even your secrets and lies? What do you think of The Ancient One? Did you purchase her? A-Force Special Event: Episode 3! A-Force Special Event: Episode 2! A-Force Special Event is Live! Arctic Armor Pepper Event is Live!